← The Blogosphere … A Great Place! 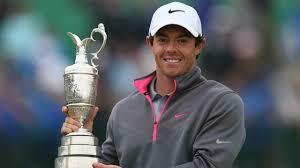 I liked what golfer Rory McIlroy had to say immediately after his recent win at the British Open. An interviewer asked what he was thinking as he walked down the 18th fairway, as fans and spectators cheered him on. McIlroy replied, “Two words. Process and spot.” Say what? What did he mean? I came up with this. Process meant he concentrated on playing his game, not on the excitement, the crowd or the win. And spot meant that magic place on the green where he needed to aim his ball to make the putt. Interesting. I found those two words sneaking into my head as I sat at my desk reworking a short story. And they talked to me. What did the word process say? It reminded me to focus on my own writing process, apply what I know about my craft, and be open to what I can discover as I write. In other words, play my game and push away any distractors. And spot? Just as a golfer assesses the unpredictable curve of the green, I need to assess the elusive arc of the story or the character arc of the protagonist. To know when my words have hit that sweet spot and the story is working. At 25, Rory McIlroy is on his way to hitting the big sweet spot. Will he become only the sixth golfer to complete the grand slam of golf? He’s won the US Open, the British Open, and the PGA Championship. What’s left is the upcoming 2015 Masters. I’m pulling for him. 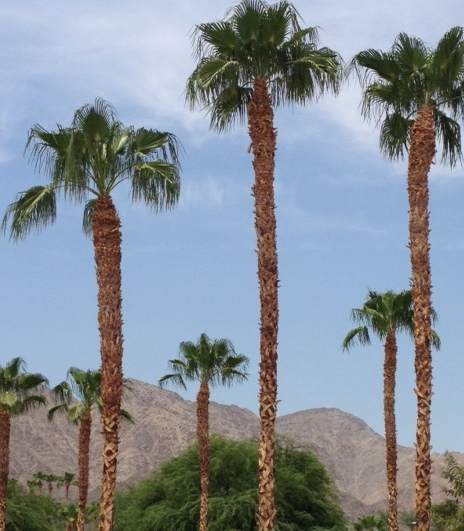 And from here beneath the palms, I like the way he thinks. This entry was posted in Creativity, fiction writing, Finding Ideas: The Creative Process, Inspiration, Looking for Inspiration, Writing and tagged British Open, character arc, concentration, focus, golf, Grand Slam of Golf, inspiration, process, putt, Rory McIlroy, spot, story arc, writing, writing process. Bookmark the permalink. Thanks, Kerry. Glad you stopped by! McIlroy’s two words are good ones! The palms pic was taken in Old Town, standing across the street from Old Town Coffee and looking west. Great use of Rory to pin down the elusive elements of perfecting the story! Thanks, Cindy. Yes, as I watched the interview, those two words jumped at me. Great post Carol. Hit me right at the right time! Thank you. Thanks, Pam. Glad Rory’s words – along with my spin on them – resonated. I like their economy. I’ve put “process” and “spot” on a post-it and stuck it on my Mac.